aGupieWare: Helo, I Love You: Mini-Helicopters To Solve City Traffic Congestion? 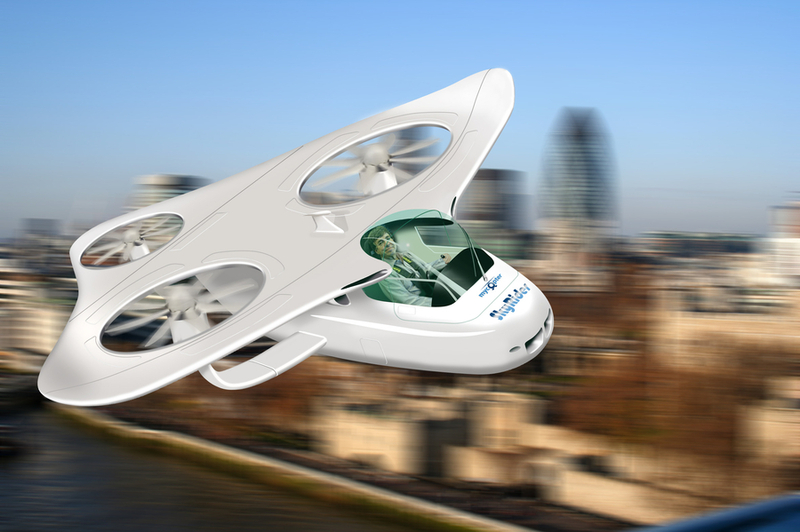 Helo, I Love You: Mini-Helicopters To Solve City Traffic Congestion? It just wouldn't be the future without flying cars. Now, the myCopter company is seeking to make that a reality, even for the average driver. The myCopter design, first dreamed up in 2007 by Heinrich H. Bülthoff from the Max Planck Institute in Germany, is being tested in flight simulators in Liverpool with surprisingly easy reviews of the projected craft's usability. While infrastructural and legal issues will still need sorting out, this is still a good step (or flight?) in the right direction for new types of commuting and urban engineering. Sooo much cooler than the subway. Image courtesy myCopter.eu.